If you were given the opportunity to meet the Pope in person, what would you ask him? In a video on Youtube John Piper tells us that if he were to have a two minute conversation with the Pope, he would ask him: What’s your view on justification? That question would speak volumes for him and perhaps for many Evangelicals. Not so for Peter Seewald, the German journalist who just released his new interview with Benedict XVI. Seewald spoke six hours with the Pope but the topic of justification never came up. This suggests that people’s agendas in dealing with the highest RC authority may be very different. Yet the interview is an interesting piece of conversation that deserves our attention. The book is entitled Light of the World: The Pope, the Church, and the Signs of the Times and is published in English by Ignatius Press. Seewald is not new to the task of interviewing Ratzinger, having done so twice when the latter was Prefect of the Vatican Congregation for the Doctrine of the Faith: Salt of the Earth (1996; English edition 1997) and God and the World (2000; English edition 2002). Many commentators have underlined the parts of the interview in which Benedict XVI addresses controversial issues on human sexuality and the recent sexual scandals within the RC Church. In spite of rumors and fancy titles, there is nothing new in the Vatican’s approach to these issues and many others. In the Vatican’s perspective an interview is a tool towards consolidating something that is already part of the ethos of the Church, perhaps using conversation and a warm, personal tone. So Light of the World does not break any new ground in doctrinal or moral matters. Benedict XVI confirms his confident, sapiential and assertive posture in defending the dynamic stability of Rome’s magisterium, as well as his worried analysis of Western cultural trends away from past settlements between church and society. The present-day turmoil of the world, though perplexing and troublesome, is seen within the hopeful context of the long-term mission of the Church that will eventually succeed. The pope addresses many important matters, but perhaps three are more worthy of mention for Evangelicals. The first has to do with Benedict’s personal prayer life. In shedding light on his daily spiritual disciplines, the Pope says that he prays to God and also invokes a selected group of saints. His special list mirrors his theological program: Augustine, Bonaventure and Thomas Aquinas. To them he cries for help as well as to the Mother of God. In another section, Seewald echoes widespread comments even in Evangelical circles that Ratzinger is more Christocentric than Marian. Yet Benedict XVI tells the interviewer that he is very close to Our Lady of Fatima (believing her alleged revelations) and deeply involved in Mary’s hyper-veneration. This is his way of living out the communio sanctorum. So, having Christ at the center means having an inclusive, wider center that hosts Mary and the saints. Do we really understand what the centrality of Jesus Christ means for RC doctrine and spirituality, even in its apparently more Christocentric forms? The second comment touches on the Pope’s perception of Evangelicalism as a player in the realm of Christianity. Of course the book is not an academic treatise on ecumenical theology and one does not have to read too closely between the lines. Yet a distinct picture does in fact emerge. In this respect Benedict XVI distinguishes in Protestantism the “classic confessions” and the “new Protestantism”. The latter is growing and represents a “sign of the times”. This expression is a catchword for present-day Roman Catholicism. John XXIII used it to launch the Second Vatican Council and since then it has been employed to refer to providential, kairos-types of events. Evangelicals are modifying the religious landscape of the Third World. The Pope goes on to say that this movement is not the church, nor can it be on the account that it lacks some defining features of the Church (i.e. the rightly transmitted sacrament of Order, the Episcopal hierarchy under the papacy, the properly administered Eucharist). According to Ratzinger, the Evangelical understanding of the church is a “new concept” whereby the church is no longer an institution but a community summoned by the Word. The Pope appears to think that in Evangelicalism there is life but it is defective and insufficient since it is outside of the full fellowship with Rome. Later, recalling his visit to Brazil, he comes back to the topic of Evangelicalism and makes some very telling comments. He associates the word “Evangelical” with “sects” thus going back to derogatory language and also failing to make an important distinction between mainstream Evangelicalism and fringe groups that are awkward for Evangelicals as well. The other comment refers to the inner “instability” of the Evangelical movement and the fact that it does not produce a “long-standing sense of belonging”. The Pope looks at Evangelicals with a mixture of spiritual curiosity and Roman perplexity. Compared with the stability of the RC institution, Evangelicalism seems to be a frail vessel floating aimlessly. Compared with the deep sense of belonging that RC is able to nurture in most of its adherents, Evangelicalism seems to produce individual outbursts of spiritual life, yet is detached from historical, cultural and community awareness. The picture that Evangelicalism presents of itself to the observing world should cause all of us to ponder. Benedict XVI seems to think Evangelicalism can be an inspiring spirituality for our age (a “sign of the times”), yet in itself it lacks ecclesial structure and identity markers to be the Church and to survive for long. A final comment is in place regarding global scenarios. Seewald wants to know what the Pope thinks of his petrine ministry that causes troubles for non-Catholic Christians. Well, the agreement about the papal ministry with Orthodox churches is not so far, says Ratzinger. Yet there is another facet to it. More and more, he says, religious leaders are realizing that in the global world a global voice is needed to address the importance of “religious values” and the disruptive claims of secularism. Being the ‚Äúsingle voice on great themes‚Äù is what the Pope envisages for his ministry: for Catholics and non-Catholics alike, as well as for Muslims, Hindus, etc. The Pope offers his ministry to serve as the spokesperson for all religious-minded peoples of the world. This is the vast frontier development of the papacy that embraces both ecumenism and inter-religious dialogue. Of course this is not the full scope of the RC understanding of the papal office, but it will pave the way to achieving it. In summary, Light of the World contains nothing new but instead underlines the standing claims of the present Pope with some intriguing nuances. Filled with awe for the great tradition of the Church, Benedict XVI is fully persuaded that the RC Church will manage to fulfill her mission, i.e. being a sign and instrument for the unity of mankind. What will the Roman Catholic (RC) Church be like at the end of the 21st century? How will this institution be able to handle the multiple challenges that she is confronted with? More radically, will this church still be still around in a hundred years? And if yes, how different will she be compared with her present-day outlook? These intriguing questions get some ever more intriguing answers by the CNN Vatican correspondent John L. Allen in his recent book The Future Church. How Ten Trends are Revolutionizing the Catholic Church (New York: Doubleday, 2009). Allen writes as a journalist and sociologist of religion who looks at what is happening in the RC universe within the context of a fast moving globalization. His immediate readership is North-American but what he writes is gathered from years of international journalism and aimed at painting global scenarios. Suffice it to briefly comment on each trend while pausing a little bit more on those which resonate more closely with Evangelicalism (i.e. Evangelical Catholicism and Pentecostalism). The center of gravity is shifting from North to South. In 2050 the largest majority RC nations will be Brazil, Mexico, Philippines, USA, Congo, and Uganda. The global story of Catholicism today is growth, not decline (19). Its most pressing need is managing expansion, not contraction. Generally speaking, Southern Catholicism is youthful, morally conservative and politically liberal, open to the supernatural, more interested in ad extra missional challenges than in ad intra traditional issues (like doctrinal disputes and canon law debates), and bringing a new set of issues (e.g. polygamy, witchcraft, women empowerment). If RC “will become steadily more non-Western, nonwhite, and nonaffluent” (432), then the time for a Southern pope has come. The “identity issue” is what is at stake with Evangelical Catholicism. For Alles, the meaning of the word Evangelical here has little to do with the Biblical-Protestant understanding of the same word. It is rather “an underlying religious psychology” (57) that embodies a “hunger for identity” in a rootless secular culture. Evangelical Catholicism strives for liturgical conservativism, catholic education, priestly-laity distinction of order, and theological clarity both in Christology and ecclesiology. Champion of this type of Evangelical Catholicism is the 2000 document Dominus Iesus which stressed the traditional understanding of the RC Church as being the only rightly ordered agency which enjoys divine grace in its fullest measure. In the same vein, for Allen, both John Paul II and Benedict XVI are Evangelical Catholics, as well as ecclesiastical figures like Cardinal Jean-Marie Lustiger of Paris (57), writers like Geoge Weigel who urges Christians to have “the courage to be Catholic” (453), ecclesial movements like Communion and Liberation (entrepreneurial, yet strongly papist and marian), and events like the World Youth Day. Allen exegetes the word Evangelical as meaning a re-affirmation of RC identity in its basic, uncompromising markers, not as implying an openness to renewal according to the Gospel. For him Evangelical is a sociological category expressing a search for identity rather than a theological one based on Gospel transformation. Islam is another global player of the 21st century and RC will attempt to develop cordial relationships while trying to avoid the clash of civilization mentality, refraining from outspoken missionary endeavors, and building a moral alliance based on natural law and basic religious sentiment. Global demographic trends encourage the RC Church to support pro-life and fertility policies and also global migration movements. From the ecumenical point of view, the Eastern Orthodox churches will be less appealing than Pentecostals due to the declining demography of most Eastern Orthodox majority countries. The last hundred years have seen the emergence of more than 120 lay movements (e.g. L’Arche, Focolare, etc.). They are a powerful force which has stirred a “democratization of catholic conversation” (209). Both lay and female ministries will expand their borders, yet not at the expense of overcoming the traditional understanding and practice of the (male) priestly ministry. The biotech revolution has seen the RC Church on the defensive side. Confronted with the new challenges, there has been a revival of natural law which will allow the RC Church to build bridges with world religions which will regard her to be the global spokesperson for nature-based conservative bioethics. Here Allen seems to underestimate the potential of this trend for future inter-religious developments and future RC claims about the RC Church representing the whole of humanity. Globalization has pushed the RC Church to expand her social teachings about solidarity, common good, subsidiarity, and integral humanism. She will become the only diplomatic global player which can embrace both the rich and poor, North and South, support for capital and labour, and concerns for social justice and economic development. Global warming and climate change, along with water scarcity and deforestation will encourage the trend toward natural theology giving the RC Church the opportunity to shape her distinct “both-and” eco-theology. The 21st century will see “the interaction of multiple points of influence” (340) with the BRIC nations (Brazil, Russia, India and China) raising their profile. In this new global setting, the RC Church is the only religious institution which is already multipolar and has the diplomatic structure and culture to deal with it. Harvie Cox has dubbed Pentecostalism “Catholicism without priests” meaning an expression of folk spirituality without the Roman juridical system or complicated scholastic theology (382). After Vatican II the RC Church has found room for Pentecostal spirituality within the borders of her theological structure. In some regions (e.g. Latin America) the Pentecostal explosion has given rise to an anti-Pentecostal attitude by RC officials. Yet Pentecostalism is winning the day, both inside and outside the RC Church. “Pentecostalism, not Orthodoxy, will be the primary Christian “other” for much of the Catholic Church of the twenty-first century” (361). New forms of “horizontal ecumenism” and bottom-up initiatives will develop (401). They will be less concerned with theological precision and more interested in exchanging spiritual experiences. Allen goes as far as arguing that the internal fault line of the 21st century will be between Pentecostal and non-Pentecostal Catholicism. The wide picture emerging from Allen‚Äôs book is complex and multifaceted. The ecclesiological notes of the Church (“one, holy, catholic and apostolic”) will translate into four sociological notes: “global, uncompromising, Pentecostal and extroverted” (432). Many sociological trends he highlights could be easily applied to global Evangelicalism and they would fit quite naturally. Yet there is a catholic difference that gives RC an extra input in confronting new phases and challenges: “he historical spirit of Catholicism is its passion for synthesis, for “both/and’ solutions” (449). The future will bring tension and conflict, yet the institution that is most suited to balance and accommodate different claims, interests, and concerns is the one that was able to survive the modernity project without selling its soul to it and will be able to navigate the waters of a thicker globalization. This is the RC theological genius that has been displayed for centuries. This is an essential part of the RC system and will be the primary tool to face the future. The RC Church will continue to claim and to act as if she were the sacrament of unity of the human family. This is her mission and it will continue to be so. 1. Vatican efforts towards New Evangelization? Setting up a new Pontifical Council is not something that happens often in the Vatican, given the conservative nature of the institution. Yet Pope Benedict XVI has just released the motu proprio document (entitled Ubicumque et semper, “everywhere and always”) that establishes the Pontifical Council for the Promotion of the New Evangelization. One of the reasons why this recent move deserves careful consideration is that it is going to be a long term initiative. The central concern that gives name to the Council is also of great significance, especially for Evangelicals who like to think that they “own” everything that is related to evangelism-evangelization. Here is a Vatican office devoted to foster the new evangelization of the West. Another feature that would ring some Evangelical bells is a long quote from Evangelii nuntiandi, a 1975 Vatican document on mission that many observers have seen as the Roman Catholic counterpart of the 1974 Lausanne Covenant. So mission to the Western world is right at the heart of the Vatican agenda. Facing the challenge of the secular West is a typical concern of Pope Ratzinger. In many ways, his first years of being Pope can be read as an attempt to deal with this issue. The newly established Council is the “institutional” way to confront it. The letter contains reference to some themes which are dear to Benedict XVI: he points to the progressive loss of Christian practice in the First World as well as the on-going abandonment of Christian values in Western society leading to indifference if not harshly anti-Christian attitudes. In one word, the Pope thinks that “secularism” is the big spiritual enemy of the Church. He calls the Church to a phase of re-vitalization of its inner life to respond to secular trends. The Ubicumque et semper papal letter does not contain a full-orbed theology on the new evangelization. Yet there are hints that perhaps deserve a comment and that puts this Vatican move in perspective. 1. The rhetoric of the progressive de-christianization of Europe has been a persistent feature of papal pronouncements since the French Revolution. “There is good reason to fear lest this great perversity may be as it were a foretaste, and perhaps the beginning of those evils which are reserved for the last days; and that there may be already in the world the “Son of Perdition” of whom the Apostle speaks (II. Thess. ii., 3). Such, in truth, is the audacity and the wrath employed everywhere in persecuting religion, in combating the dogmas of the faith, in brazen effort to uproot and destroy all relations between man and the Divinity”. These words seem Ratzinger’s but were written by Pius X in 1903 in his encyclical E supremi apostolatus (n. 5). In a sense, there is nothing new under the sun. Churches have been engaging forms of secularism for at least the last three centuries. What is perhaps new is the danger that the institutional churches may lose their privileged status in a pluralist society. It seems that present-day secularism cannot cope with pre-Revolution settlements between church and state. Is this what Ratzinger fears most? 2. In assessing the danger of secularism, Benedict XVI charges it with all kinds of evil. In many ways, his evaluation is accurate. Yet, something of importance is missing. There is not a single word on the responsibility of the Church for the poor state of Western Christianity. Has the Church really worked hard to proclaim the Gospel with integrity to the observing modern world? Has the Church been faithful to the Word of God? Is the Church somewhat responsible for causing, at least in part, the disturbing secular trends? Does the Church need to look at her own sins before pointing the finger at the world? The document does not address this. It does not even ask the question! 3. The encouragement given to the Church is to promote the new evangelization and to re-ignite her mission to shape society. The document does not hope for conversion to the Gospel, as the Lausanne Covenant would say. It rather points to the recovery of a Christian society where Christian values are honored and practiced and where the Church is recognized for being a shaper and upholder of society. What does evangelization hope for? Does it foster a nostalgia for the “Christian society” of the European past? But were these societies Christian in the Gospel sense? Should we not accept the challenge of evangelizing the West without wanting it to simply go backwards? 4. A final comment on the tools that Pope Benedict XVI sees as crucial for the task. Prominent is “the use of the Catechism of the Catholic Church, as the essential and complete formulation of the content of the faith”. It is perfectly legitimate for the Head of the Roman Catholic Church to support the use of the Catechism. Yet, Gospel people would have expected the Pope to encourage people the read, study and share the Bible. Evidently, for him the Catechism contains the Bible, not vice versa. Personhood is a key-concept in present-day magisterial Roman Catholicism. Virtually, every official speech of the pope makes some kind of reference to it while many official documents often revolve around the supreme value of personhood, the threats to its dignity and the strenuous defence of its centrality for the well-being of human society. In order to be understood properly, the Roman Catholic discourse on personhood has to be appreciated in its immediate historical background (i.e. Vatican II), in the context of the consolidated body of catholic teachings concerning earthly realities (i.e. the social doctrine of the Roman Catholic Church), and in its pastoral motivations and missionary aim (i.e. the call for a “new evangelisation”). Each of these aspects would deserve a specific treatment but, as the scope of the paper is appropriately limited to the theology of personhood of Vatican II, it will be sufficient to give a general introduction which will set the scene for a subsequent reading of some conciliar texts on personhood. In this novo millennio ineunte, the Roman Catholic Church seems to be fully committed to the task of a “new evangelisation” of the world, especially the traditionally Christian West which is showing signs of a progressive marginalisation of its religious heritage. This wide-ranging commitment dates back to the early Sixties when the hope for a kind of “aggiornamento” of the Church came to fruition in the convocation of a universal council. Pope John XXIII’s intention was that the new council should follow up the abruptly truncated work of the First Vatican Council in 1870 and should come to terms with the changed scenario both within the church and in the world. While Vatican I had promoted a strong judgmental and confrontational line in the area of the relationship between church and world, the Second Vatican Council (1962-1965) prompted the Roman Catholic Church to abandon her introspective and antagonist attitude by assuming a more extrovert and pastorally minded posture vis-à-vis the “modern world”. It is not surprising that one the most important documents of the Council is the “Pastoral Constitution on the Church in the Modern World” (which begins with the famous expression gaudium et spes) which delineates a renewed ecclesiological awareness of the Roman Church as she recognises and confronts what she had previously opposed and fought. The whole of Vatican II can be summarised using the initial expressions of its major documents: the newly perceived missionary task ad gentes calls for a reinvigorated catholic ecclesial witness to the lumen gentium on the basis of dei verbum and aimed at blowing a wind of gaudium et spes in the world. Following the watershed event of Vatican II with all its missionary impetus, Paul VI issued the exhortation “Evangelii nuntiandi” (1975) in which the sense of urgency posed by the missionary challenge envisioned by the Council was underlined. Stemming from the same conciliar stream, the present pope has called the church to a renewed missionary effort, that is a “new evangelisation”, aimed at re-evangelising the world in general and the West in particular. Through various encyclicals and his restless activity, John Paul II has tried to implement that ambitious missionary vision and give it a world-wide profile. Against the background of the “new evangelisation”, through the extremely feeble but powerfully amplified voice of the pope, Rome has launched her campaign in the present-day religious babel. What is striking in this post-Vatican II massive effort is the centrality of the category of personhood in the whole catholic missionary enterprise, both in its theological rationale and its practical outworking. Sundry magisterial documents, official speeches and pastoral programmes are shaped around the strategic value of the person and the vital need to promote personhood in all areas of life. The “new evangelisation” takes into consideration what the magisterium declares to be the constitutive, non-negotiable elements of personhood. Inasmuch as Vatican II was of fundamental importance in determining the new posture of the Catholic Church in relation to the modern world, it is still of strategic significance as far as the catholic emphasis on personhood is concerned. “The Dignity of the Human Person” is the expression which opens a relatively minor document of Vatican II, the “Declaration on Religious Freedom”, “Dignitatis Humanae” (henceforth DH), but it is also the title of an important section (Chapter I, nn. 12-22) of the “Pastoral Constitution on the Church in the Modern World”, more often referred to with the words of its incipit Gaudium et Spes (henceforth GS). Its concise density well epitomises the main thrust of the conciliar theology of personhood. In a telling statement which recapitulates one of the main concerns of the Council and introduces its anthropological vision, GS so reads: “the pivotal point of our total presentation will be man himself, whole and entire, body and soul, heart and conscience, mind and will” (3). So, the reflection on personhood is a major avenue leading to the heart of the Second Vatican Council as it represents the catholic version of the “anthropological turn” which was one of the main features of the modernity project. Such a turn was opposed by the Vatican for a long time but eventually endorsed, even though mediated by the early Twentieth century personalistic tendencies of Catholic philosophy. Out of all the conciliar corpus, GS is the main text to turn to in order to gain an authoritative insight into the contemporary magisterial theology of personhood. Based on GS, DH rehearses its major anthropological themes and attempts to apply some of its pivotal teachings to the area of religious freedom. Considering that religious freedom was traditionally neglected, if not opposed by the Roman Church, DH represents a significant move forward in the reception of the theology of personhood by the Catholic Church herself. Interestingly enough, the first recipient of the teaching of GS seems to be the same Church which formulated it. Having being promulgated on the same day (7 December 1965), DH is the first fruit of GS because it is the immediate and internal application of GS. Before evoking the salient contours of personhood which emerge from GS, it should to be borne in mind that Vatican II does not provide a dogmatically outlined theology of personhood nor a fully fledged treatise on theological anthropology. There are at least three reasons which warrant such a preliminary remark. Firstly, contrary to the strongly doctrinal profile of the basically juridical ecclesiology of the First Vatican Council, the intentions of Vatican II are more pastorally inclined and missionary minded, although still ecclesiological in nature. The dogmatic structure is always present (GS is a “Constitution” endowed with binding authority) but the emphasis majors on pastoral interests and goals. The conciliar teaching on personhood clearly echoes the pastoral breadth of a Church which is engaged in reflecting on her self-understanding and her posture in relation to the world. An awareness of the distinct character of Vatican II surely helps in reading its documents according to its underlying motivations. Secondly, the anthropological vocabulary of Vatican II is not technically rigorous but tends to employ several terms interchangeably (“man”, “men”, “mankind”, “creature”, “person”, “persons”, “humanity”, “human family”, “human community”, etc. ), thus showing an apparently relaxed attitude towards semantic precision and analytical definition. The frequent use of synonyms significantly hinders the possibility of a neat systematisation of conciliar anthropology, even though this has not prevented Roman Catholic theologians from engaging in subsequent systematic studies mainly based on the anthropological ethos of Vatican II. Thirdly and finally, the structure of the argumentation in GS is mainly based on a phenomenological driving concern rather than on classical procedures, whether dogmatic or even systematic. Since the observation of the complex reality of the “signs of the times” spurs the Church to think afresh her identity and mission, it is the profoundly changed “situation of men in the modern world” (4-10) which sets the agenda for the conciliar teaching on personhood rather than the preoccupation to establish an authoritative pronouncement based on a more traditional (i.e. biblical, theological, historical) kind of argumentation. The briefly sketched phenomenology of the present time, with its hopes and anguishes, outstanding transformations and deepening problems, is the context in which what the Council has to say on our subject stands out, both in terms of interpreting the situation and indicating possible areas of encounter between the Church and the world. With these introductory observations in mind, it is now possible to present briefly some of its most interesting aspects for a tentative evangelical evaluation. The title of the paper has already pointed out a fundamental distinguishing mark of the theology of personhood in GS. In characterising the meaning and value of person, GS repeatedly underlines its “dignity”. This qualification is overwhelmingly present throughout the whole text and represents the backbone of its message. As far as the supreme source of dignity is concerned, the Council boldly asserts that it is supremely rooted in man’s “call to communion with God” (19). This statement is particularly significant because GS in particular expressly and extensively deals with the pressing issue of atheism which was at the centre of the religious agenda in the Sixties. In order to counteract the atheistic argument that belief in God demeans the value of man and thus his intrinsic dignity, GS affirms the exact opposite, that is: “the recognition of God is in no way hostile to man’s dignity, since this dignity is rooted and perfected in God” (21). In the Council’s view, man’s dignity is “most grievously lacerated” when a sensus divinitatis is excluded from the human horizon (idem). Moreover, contrary to the atheistic assumptions, only the gospel of Christ can promote and safeguard it in a way that no human law can (41); in fact, in spite of the threats to which man’s dignity is always subject to, the gospel has the power to re-establish and strengthen it (41). As for its ontological value, according to the Council, the dignity of the person is an inherent worth which can never be disposed of since it is intrinsically related to the human person. Though man can err in a variety of ways, his conscience never looses its dignity (16). Even more than that, in spite of all his tragic problems and evident short-comings, man never falls short of the “dignity of being a person” (28). Dignity is an inalienable anthropological trait because it is intertwined with man’s identity as man. In GS’s words, “man is more precious for what he is than for what he has” (35) and therefore his rights and duties are “universal and inviolable” (26). This high view of personhood impinges on the whole of the human person and her life. In this respect, every aspect of man is endowed with dignity: his “mind” (15), his “moral conscience” (16, 41), his “vocation” (22), his “spiritual” dimension (23), his whole being and calling (39). Not only is the whole person marked by inherent dignity, but every person enjoys the same “equal dignity”, though the Council immediately recognises that “rightful differences exist between men” (29). The equality of man is argued for in terms of the fundamental dignity of each and every person and this is one of its “irresistible requirements” (26). His dignity also determines the position which is attributed to man in the world. In this respect, GS says that man “stands above all things” (26) since he is the “centre and crown” (12) of all things. The supremacy and centrality of man lead the Council to stress the fact that the world is “the theatre of man’s history” (2) and to express forcefully its “reverence for man” (27). Finally, GS repeatedly speaks of the socio-political implications derived from the strong affirmation of man’s dignity. At this point, the teaching of the Council reaches the meeting point between theological reflection on man and pastoral exhortation to all men in authority. Human dignity is so high a value that the political, social and economic order should “minister to” (29), “affirm and develop” (9), always having in view the benefit of the human person (26). In the light of this principle, earthly affairs should be “subordinate to the personal realm and not contrariwise” (26), thus recognising the pre-eminence of man in policy-making over any other concern. Labouring on this point, GS underlines two necessary prerequisites for the implementation of such an ambitious programme. First, human dignity has to be “acknowledged” (12) by those who are in authority and “the goal of all social institutions is and must be the human person” (25). Second, every man should become “conscious” of his dignity (31) by having “living conditions” which would make it possible for everyone to appreciate it (idem). Dignity is not an abstract concept but an ontological, yet concrete value whose importance for every man should inspire all men in their activities. In its attempt to listen to what the modern world is saying, the Council picks up the searching question that many have asked and continue to ask: “what is man?” (10; cf. also 12). This attitude marked by a readiness to listen before pontifying is an instance of what Gustav Thils has called Vatican II’s “methodological inversion” in its dealings with the world. It is no longer the Vatican I Church which shouts her condemning truths in judgement to it, but a Church that strives to listen to the world before speaking and confronts earthly issues inductively. As regards the variously declined ontological problem concerning the nature of man, the unapologetic answer of GS is that man is properly a mysterium that the Church wants to illuminate in the light of Christ (10). Later, the key to the right approach is specified when it is said that “only in the mystery of the incarnate Word does the mystery of man take on light” (22). The Church can shed light on the mystery of man inasmuch as she does it christologically or, to put it differently, by relating it to another mystery (that of Jesus Christ). Referring to the mystery of man opens the door to the delineation of the essentially christological contours of what is man and what it means to be man. In this respect, while rooting its anthropological discourse on the «imago dei» motif (12), GS advocates a christological anthropology. In a typological sense, Adam the first man is seen as a figure of Jesus Christ “the last Adam” (22), thus pointing eschatologically to the “new man”. The intrinsic relationship between the two Adams enables GS to assert that the innermost qualities of the first Adam “find their root and attain their crown” in the last Adam. The eschatological Adam sheds light on the protological one as well as on the historical ones as he is God’s realised project for man; “whoever follows after Christ, the perfect man, becomes himself more of a man” (41). In an incarnational sense, Jesus’ assumption of human nature elevates man to “divine dignity”, thus providing a divine pattern to which man must conform himself. One of the most best known statements of the entire Council reads that “by His incarnation the Son of God has united Himself in some fashion with every man” (idem). Whatever this somewhat ambiguous phrase means, it certainly refers to the objective fact that the incarnation effects all of humanity and the whole of humanity in the sense that, after the incarnation, man’s mystery cannot be considered apart from the perspective of the incarnation. Christ’s humanity is not absorbed by his divinity but fully displayed as humanity proper. In Coda’s words, “the mystery of the Incarnation is the mystery of the full humanisation of man, which does not mean opposition to God but a reciprocal relationship between man and God, who are united yet distinct in Christ”. In a soteriological sense, since “Christ died for all men” (22), his redemptive work makes it possible for man to be linked with “the Paschal mystery”, in other words to participate in his sacrifice and to share its salvific benefits. Not only Christians are the recipients of this association but “all men of good will in whose hearts grace works in an unseen way” (idem). The link between Christ and man is not soteriologically free but the way in which it operates for the effectual salvation of all is not spelt out. The universalistic tendency of the Council, however, is clearly expressed here and it is argued for on the basis of the supreme value of man, of every man, for whom Christ died. Finally, in an eschatological sense, as Christ is “the Alpha and the Omega” (45), he is “the goal of human history, the focal point of the longings of history and of civilisation, the centre of the human race, the joy of every heart, and the answer to all its yearnings” (45; cf. also 10). His reality is so pervasive that it is utterly inescapable and will eventually become incontrovertible; the destiny of mankind is united to that of Christ. As Christ is the ultimate horizon for man, he is also considered as the inexhaustible reservoir of identity, meaning and purpose for human beings. Of course, these hurried remarks on man’s and Christ’s mysterii do not fully account for the immense theological importance of what is articulated in the above mentioned paragraphs of GS. Their modest aim is to underline in a preliminary way the more general point of the interconnection posed by the Council between its christology and its view of personhood. In GS, christology is the hermeneutics of personhood as Christ is the new man and the paradigmatic pattern of and for man so that the christological mystery sheds light on the anthropological one. In this way, the Council hopes to overcome both “secular integrism” which would exclude Christ from the reflection on personhood and “confessional integrism” which would tend to limit the significance of Christ to the Church only. Roman Catholic universalism is christologically connoted. Dignity and mystery do not exhaust the theology of personhood of Vatican II. There is yet another key-word which plays an important role in determining the anthropological orientation of the Council. In fact, the GS vocabulary on personhood is also enriched by a large number of references to man’s “vocation” which indicates its horizontal and relational dimension. This foundational aspect entails not only the social but also the ecclesial calling of man. Vocation is primarily understood as expressing the communitarian character (32) of person, the fact that man is never to be considered as if he were simply an individual. On the contrary, he is always and intrinsically a being with a “social nature” (25), a person-in-relation with other persons who is what he is because of his being in relation. Each man should treat his neighbour “as another self” (27) because otherness is never considered as external to personhood but an essential aspect for its make-up. Man is seen as an essentially “social being” (12) who inherently experiences “human interdependence” (26) with his fellow men. The social thrust of the Council’s anthropology is argued for both protologically and christologically. In fact, God has created men to form a “social unity” (32) with other human beings, while the incarnate Christ has fully shared and therefore elevated man’s communitarian dimension (idem). The original social project of creation has been enhanced by the incarnation which has reiterated it so that it stands out as part of a trinitarian plan worked out in the course of salvation history. Besides these protological and christological profiles, it also has an unavoidable soteriological significance in that God also saves men “not merely as individuals” but as a “single people” (32, quoting “Lumen Gentium” 9). Having created men as social beings, He also saves them in the same way, that is as a community. Stemming from this paramount vocational aspect of personhood, GS argues for “the basic equality of all” (29), the relationship between sexes as “a primary form of interpersonal communion” (12), its teaching on marriage and family (47-52) and its appeal for “universal brotherhood” and “brotherly solidarity” between men (38; cf. also 2). Man’s vocation is also related to the unity of mankind. Since being a person means to be part of a community as large as the whole of humanity, such a unity is part of God’s will as Father of all. It is God’s design and purpose that men form a “single world community” (33); in fact, according to GS, “God, who has a fatherly concern for everyone, has willed that all men should constitute one family and treat one another in a spirit of brotherhood” (24). The unity of mankind is also at the centre of the mystery of salvation. As protological unity marks God’s will from the beginning, so eschatological unity is mankind’s destiny. In order to achieve this, God’s salvific purposes are universal and embrace the whole of mankind. The unity of mankind is envisaged in creation, fulfilled in the eschaton and achieved in salvation. The whole discourse on personhood in GS revolves around these three poles: the inalienable dignitas of the person indicates her supreme value; the profound mysterium touches on the christological ontology of the person; the communitarian vocatio reflects her existential, social and ecclesial calling. Different paths of theological evaluation may be pursued at this point and different interpretative perspectives may be followed. Magisterial teaching is so theologically rich and wide that it offers innumerable ways of appreciating it. Among all the possible options, it is perhaps worth pondering on the ecclesiological apparatus which is always implied in Vatican II’s authoritative pronouncements on our subject. These preliminary considerations will try to account for the ecclesiological concern of the Council. Significantly enough, GS opens with the first paragraph paradigmatically entitled “The Intimate Bond between the Church and Mankind” (1) and continues by reflecting on “The Church and Man’s Calling” (11) and “The Role of the Church in the Modern World” (40-45) as they are “mutually related”. It should be borne in mind that, even though it deals with the modern world, GS does it from the perspective of the Roman Church in relation to it. In other words, everything which is said about the world, person and society is not a theoretical exercise in religious social philosophy but an ecclesial programme for an ecclesial project. While the other ecclesiological pillar of Vatican II, “Lumen Gentium”, strongly upholds the sacramental nature of the Church with regard to Christ and the unity of mankind (e.g. LG 1), GS deepens the sacramental profile of the Church which characterises her relationship with the whole of mankind (40). In both relations, however, she stands in the middle, being a “sign and instrument” of both and serving both. The Church is the “sacrament” of the incarnate Word thus representing his authority, work and office. The Church is also the “sacrament” through which the new humanity is enacted until the final accomplishment of its universal destiny. In a telling statement, GS states that “the Church is the universal sacrament of salvation, simultaneously manifesting and exercising the mystery of God’s love for man” (45). She stands between God and man. In Roman Catholic theology, where Christ is mentioned, the Church is in some way always implied. As was noted earlier, Catholic universalism is christologically connoted but, as the relationship between Christ and the (Roman) Church is of a quasi perichoretical type, its universalism is also ecclesiastically connoted. The same is true as far as the Roman Catholic perspective on personhood is concerned. Because of what the Church is and does, she is always implied when the constitutive elements of personhood are at stake. There cannot be a fully realised personhood if man is not engrafted into the Church, taught by the Church and nurtured by the Church. The “function”, “light” and “energy” (42) of the Church is indispensable to attain personhood. The catholic Christ has an inherent ecclesial dimension just as the catholic man has an intrinsic ecclesial profile. The Church is therefore the sacramental link between the divine pole and the human one. With regard to what has been argued concerning the primary aspects of the Roman Catholic view of personhood, the teaching of GS in not to be understood as if it were in an ecclesiological vacuum. On the contrary, the Church plays a fundamental role in each of them. In fact, the (Roman) Church safeguards the dignity of the person (41, 76), sheds light on the mystery of the person (10, 33, 41) and is the place where the person can fully accomplish his vocation (21, 42). While the focus seems to be on man, the Church is always in the background and always ready to come to the fore. As she enjoys an intimate relationship with Christ, on the one hand, and with man, on the other, she is both the sacrament of the incarnate Christ and the sacrament of the unity of mankind. She stands between. In her “motherly” attitude, she mediates personhood and dispenses it. In articulating her theology of personhood, the Roman Catholic Church does not deny her own ecclesiological self-awareness nor does she hide her universal mission. The magisterial theology of personhood is built on a particular kind of juridical and universal ecclesiology and the two elements are so intertwined that her view of personhood is not ecclesiastically neutral. GS presents the Catholic magisterium at its best in dealing with an increasingly disillusioned version of modernity; before the hopes and anguish of the modern world, the Catholic Church presents herself in a more modest way than in the past, though she is nonetheless animated by the consciousness of her universal identity and salvific purpose. In attempting to respect the Roman Catholic vision of the person, it is vital to come to terms with the Roman Catholic ecclesiology which sustains and nurtures it. This is not to demean the theological “aggiornamento” which was pursued by Vatican II nor to devalue the significance of magisterial anthropology. The point is this: while advocating personhood in her effort for the “new evangelisation” (and this is done in a way that fully displays catholic theological wisdom), Rome advocates herself as the ecclesial locus in which a person can enjoy the fullness of her personhood. The logic of this understanding of personhood is that those who are outside the Roman Catholic circle of sacramental fullness attain to a lesser profile of personhood because of their distance from the centre which warrants the possibility of a full personhood. This is perfectly legitimate on Rome’s part, but it is, at the very least, evangelically questionable in that it associates a creaturely dimension (personhood) always subjected to the involution of the fall to an ecclesial allegiance to the Roman Church. The strong personalist tendency in Roman Catholic theology as an equally strong ecclesiological thrust as the other side of the coin. Any evangelical reading of GS, and especially of its perspective on personhood, needs to discern the ecclesiological premises and implications of the anthropological breadth of Vatican II. The bibliography on Vatican II is very wide. With reference to the conciliar texts which will be discussed in the paper, useful readings can be Moeller (1966), Schillebeeckx (1966), Butler (1967), Vorgrimler (1969) and McDonagh (1991). Introductory works on the social doctrine of the church are Höffner (1983), Langlois (1987), Cozzoli (1996) and Toso (2000). Unfortunately, evangelical works on the catholic vision for society are few and fragmentary; for a very critical and rather unfair evaluation, cf. Robbins (1999). In this paper the rather fluid anthropological language of Vatican II (see later) will be retained. References to person and personhood will not have to be considered technically but as conveying different and sometime overlapping anthropological meanings. Especially, the encyclicals “Redemptor hominis” (1979), “Laborem exercens” (1981), “Sollicitudo rei socialis” (1987), “Centesimus annus” (1991), “Veritatis splendor” (1993). For an introductory presentation of the main tenets of recent Catholic magisterium on personhood in its historical development, cf. Cottier (1992). The same expression entitles the section of the 1992 (though published in English in 1994) Catechism of the Catholic Church on “Man’s vocation. Life in the Spirit” (n.1700ss). All quotations of Vatican II are taken from Abbott (1966). Il va sans dire that the use of inclusive language is not a feature of Vatican II nor does it seem to be a concern even for present-day magisterial theology. The conciliar teachings on “socio-economic life” and “the life of the political community” are more fully explained in GS 63-72 and 73-78, respectively. Quoted by Coda (1988) 166. The relationships between christology and anthropology in GS are explored by Chiavacci (1986), Ladaria (1987), Caporale (1988) and Coda (1988). In Catholic theological language, “ecclesial”, “ecclesiological” and “ecclesiastical” tend to have the same meaning, or at least they imply one another. Because of the strongly juridical ecclesiology which is the basis for the whole of the Catholic view of the church, “ecclesial” is always “ecclesiastical” and vice versa. Public theology fits the Roman Catholic Church for two main reasons. The first is that she is the only church which is also a sovereign state (i.e. the Vatican) with its own political, financial, juridical and diplomatic structure. It the only ecclesial body which deals with other states at a peer-level. When she signs agreements with a state in the form of a concordat, for instance, she does so according to the rules of international law as a sovereign country vis-à-vis another sovereign country. The pope is both head of the church and head of state. When he visits a nation he is welcomed as if he were a king, not simply as archbishop or another ecclesiastical figure. Though small and symbolic, the Church also has an army, like any other state. She cleverly plays with her double identity (ecclesial and political) which is the fruit of her long and complex history, but also an indication of her composite institutional nature: both church and state in one. Theology and politics are so intertwined in the system of the Catholic Church and in her activities that it is impossible to separate them. The second reason why public theology fits the Roman Church is that she has been an important player in the political history of the Continent. Any attempt to survey European history would be utterly impossible without taking into account the fundamental, yet controversial, contribution of the Roman Church. This prominent role has been undergoing a profound change in terms of the forms of political involvement since 1870 onward. The severe reduction of the extension of the Pontifical State determined the modification of its political profile in Europe. In the present-day scene, Rome does not seem in the forefront of contemporary politics but has a strong influence on events and trends through her powerful diplomatic apparatus and media attention. For example, the crucial role of John Paul II in the fall of the Communist regimes is unanimously recognised as one of the main factors of the collapse of the Soviet bloc. Even before Karol Wojtyla, however, the Church had developed her distinct Ost-Politik in confronting Easter European oppressive governments. Moreover, there is no international crisis, no major world-wide issue, no current global debate which is not significantly dealt with by the Vatican, both theologically and diplomatically, hence politically. Public theology is therefore at the centre of the Roman Catholic raison d’être and any serious analysis of the Catholic public theology should be aware of it. Of course, her role in contemporary Europe is not mere politics and social concern, but is has inherent public and political dimensions attached to it. The aim of this paper is to explore the political significance of Rome’s involvement in the public square in present-day Europe and to ask questions about the challenge that it brings for Evangelicals as they address the challenge to witness to the Gospel in the European public arena. 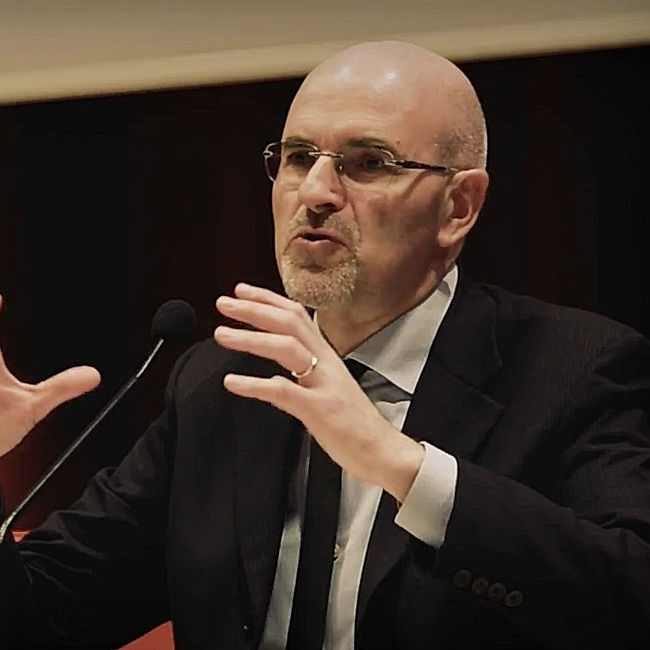 This objective will be hopefully achieved, first, by introducing the Social Doctrine of the Church which is the ideological platform of the Roman Church; second, by assessing a recent authoritative document which sets forth the Catholic political concerns for Europe and the role of the Church in this context. Magisterial Roman Catholic language does not use the expression “public theology” to indicate the socio-political reflection and action of the Church. We should therefore look for another vocabulary to find out how she perceives the role of the Church in the world-wide political situation. In this respect, Rome refers to the Social Doctrine of the Church (SDC) as the established, yet dynamic and ever growing body of teachings which delineate her theological framework, moral values and socio-political principles. One of the first things to be said about SDC is that it is a set of doctrines. The social views of the Church have a high theological profile, given the fact that they are considered as part and parcel of a doctrinal body of reference. They are not mere opinions or majority views within Catholic hierarchy, but are ascribed as nothing less than doctrines. The Roman Church is very aware of the mediation which is always needed to address historical and social realities from a magisterial point of view. This mediation entails a sober appreciation of the contingency of magisterial indications which stem from and are directed to transient situations. Yet, she is also conscious of the specific contribution that she can make towards society as a whole and this contribution is primarily a doctrinal one. 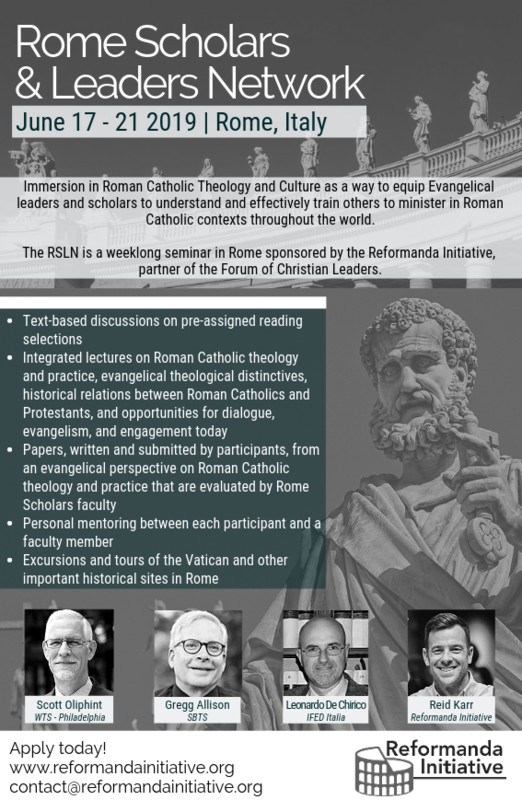 SDC is not a second-order Roman Catholic teaching, but an integral part of its doctrinal worldview to be understood in connection with the whole theological teaching office of the Church. Rome’s involvement in politics and society emerges from doctrine from where it receives inspiration towards the implementation of a project. The kind of doctrine envisaged in SDC is aimed at shaping society according to its own principles and objectives. SDC is Roman Catholic doctrinal convictions coming to terms with the social outlook in view of bringing a corresponding change. In this respect, SDC indicates what is necessary to “the construction of social life which aims at being ordained to Christ towards the human fulfilment in God, without negating a properly understood earthly autonomy, but empowering it”. On the one hand, there is a reference to a theological framework which encompasses a Christological consummation which, in turn, is the requisite for human realisation. On the other, there is the recognition of a limited sphere of social and political autonomy in striving to the human fulfilment in God. As the old Thomist saying remarks, gratia non tollit naturam sed perficit. Grace provides the way for nature to achieve its supernatural calling while respecting its natural prerogatives. In a nutshell, this is the Roman Catholic theological vision whereby nature is elevated by grace to its supernatural fulfilment. As part of Catholic doctrine, SDC shares the same basic theological framework. Historically speaking, SDC has known a significant development in contemporary history when the magisterial authority has begun to address contentious issues emerging from the modern world. In the second half of XIX century, the magisterial authority increasingly felt the need to respond to matters of widespread social concern. Since then, this attention has been a shared priority of many pontiffs. Here is a brief overview of the main documents which form the backlog of SDC. Rerum novarum (1891) by Leo XIII is the first modern encyclical devoted to social issues and deals especially with the condition of working classes. The exploitation of work and workers is condemned while private property is recognised as natural right. Quadragesimo anno (1931) by Pius XI marks the 40th anniversary of Rerum novarum. The emphasis is on the structural (i.e. political) dimension of justice. It calls for a profound change in social and economic institutions in order to purse justice and charity for the common good. Mater et magistra (1961) by John XXIII summarises the social teaching of previous popes and develops it in the post-second world war context. For the first time, it tackles the problem of underdeveloped countries against the background of humanity’s common destiny. Gaudium et spes (1965) is the more inspirational Vatican II text for subsequent SDC. It explores the relationship between the Church and modern world and calls the former to a renewed sense of mission at the service of the human person, the whole community of mankind and the promotion of common good. Populorum progressio (1967) by Paul VI reinforces Mater et magistra around the notion of “integral development” for all mankind. It strongly relates social development, freedom and world peace. Private property, though lawful, has also a social dimension which cannot be overlooked. Labor exercens (1981) by John Paul II recalls and develops important themes of Rerum novarum. It underlines the anthropological significance of work and asserts its priority over capital and private interest. Work needs to be at the service of man, though this attitude does not mean endorsing liberation theology uncritically. Sollicitudio rei socialis (1987) again by John Paul II celebrates the 20 anniversary of Populorum progressio and criticises highly consumerist trends in contemporary society. Solidarity is the key principle which is evoked towards establishing peace and promoting integral development. On the whole, these documents show the radical turn that the Catholic Church has undergone in the last 150 years. From being a Church inward looking and on the defence, it has become a missionary minded, socially concerned, culturally alert and truly catholically oriented Church. Her social thought provides her public involvement with an ideological platform which is now sufficiently stabilised though is always open for further refinements by magisterial authority. The Roman Catholic Church is perhaps the only ecclesial subject which has a coherent body of teachings which cover a lot of ground in terms of public theology. From work ethic to labour legislation, from world peace to fair development, from solidarity to subsidiarity, from private property to common destination of goods, from local policies to international order … many key themes are given a Catholic flavour in view of Catholic involvement. SDC is a comprehensive social perspective which testifies to the vitality of the Roman Catholic worldview confronting the modern world. 2. Ecclesia in Europa: which Church in which Europe? After briefly touching on the rich and vast domain of SDC, we are better equipped to deal with a recent magisterial document which contains an indication of how the Church perceives the general European outlook and her role in it. The Roman Church is an active agent in the European scene and in recent years she has given an even more careful consideration to it against the background of SDC. In this respect, John Paul II has issued the apostolic exhortation Ecclesia in Europa (henceforth EiE) in 2003 prolonging the 1999 Synod of European bishops which had focussed on the life of the Continent on the eve of 2000 Jubilee. The document well reflects many consolidated magisterial concerns and provides a interesting case-study to come to grips with Rome’s public theology in the European context. Though it does not contain a full orbed ecclesiology, EiE is primarily an ecclesiological document. It stems from a clearly defined ecclesiological consciousness and is aimed at encouraging the Church’s involvement in this crucial time for Europe. Typical of this Roman Catholic ecclesiological self-awareness is the bold statement whereby the Church is indicated as being “the channel in which the grace pouring from the pierced Heart of the Saviour flows and spreads” (31). In EiE, the Roman Church through the voice of her highest authority analyses the challenges of the current situation, recalls the main tenets of her ecclesial identity and indicates ways in which she can contribute to the shaping of Europe. Some of these points need to be grasped more fully in order to appreciate what kind of public theology is envisaged in the document. The focus on public theology means that other important aspects of EiE (e.g. cultural analysis on European secularism, the ecumenical vision and commitment, references to the Bible – especially the book of Revelation, the final entrustment to Mary) will not be addressed as they would merit. Suffice it to remember that Roman Catholic public theology (especially in a magisterial text such as EiE) is always framed in ecclesial language and within a comprehensive ecclesiological framework. Looking at Europe, “the Catholic Church is convinced that she can make a unique contribution to the prospect of unification” (117) and, in this prospect, “a guiding role should be played by the Church’s social teaching” (98). So, which (Catholic) Church in which Europe? The thrust of the document seems to indicate what the Church wishes to be and do for Europe and what kind of Europe she would expect for the present and future. As for what the Church wishes to do, two brief remarks are in place. Firstly, on the institutional level, the Church thinks she can model for Europe a unity-in-plurality pattern as Europe seeks to find its way towards further integration. “One and universal, yet present in the multiplicity of the Particular Churches, the Catholic Church can offer a unique contribution to the building up of a Europe open to the world. The Catholic Church in fact provides a model of essential unity in a diversity of cultural expressions, a consciousness of membership, and a sense of what unites beyond all that divides” (116). As Europe strives to combine integration and differentiation, the Catholic Church is a living organisation which is in herself both unity and plurality in a reconciled combination. While “the Church is not entitled to express preferences for this or that institutional or constitutional solution” (19), she nonetheless calls Europe to look at herself for seeking inspiration towards a viable model which can foster diversity while preserving unity. In this respect, few questions are in place. Is the Roman model (hierarchical, centralised, founded on divine law, non-democratic) the only Christian suggestion to the shaping of European institutions? It is difficult to see how European unity-in-diversity can really benefit from the Roman Catholic pattern. Perhaps, Evangelical ecclesiological models of unity-in-diversity are better fitted for the purpose in their being more inclined to democratic procedures and collegial leadership. Again on the institutional level but as far the relationship between church and state is concerned, the Roman Church wishes to maintain her juridical privileges achieved and consolidated at national levels, while supporting religious freedom and equal opportunities for all. In the new development of European legislation, a distinction should be retained between “simple agencies or private organisations” and “the Particular Churches in Europe” (20). The argument behind such a request is that the institutional nature of the Church is different from other social bodies and this specific institutional dimension “merits legal recognition” (20). According to EiE, this is true for all churches, but is even truer for the Roman Church. As already noticed, the Roman Church is uniquely both church and state, therefore not a simple private religious organisation. While many Christian churches may wish to have European institutions recognising their “specific institutional import” (114), the Catholic Church is even more concerned about it because of her distinct double ecclesial and political identity. However, while raising the important question on the juridical status to be ascribed to churches, EiE has more to say about it. In envisaging a “healthy cooperation” between Europe and the Churches, the document stresses that the former should pay “respect for the juridical status already enjoyed by Churches and religious institutions by virtue of the legislation of the member states of the Union” (114). This is an understandable self-protecting clause of a majority Church in many European countries. In her relationship with other states, the Roman Church aims at establishing it in the form of a concordat in the context of international law. In traditionally Catholic countries, these concordats contain privileges for the Catholic Church (e.g. in terms of access to religious teaching in public schools, public funding, the officially recognised role in society) which penalise other churches and religious communities which do not receive the same treatment by the state. The same would be true for other European state-churches which enjoy a privileged status in countries where they have a traditional majority role. From their point of view, the privileged juridical status already acquired at the national level should not be questioned in Europe, but should be assumed and protected. This is perfectly understandable on their part, but is it fair? In other words, is it theologically justifiable to maintain the traditional “ecclesiocentric-inculturational model” shaped by highly questionable patterns of church-state relationship? Of course, this self-protecting attitude may have its rational explanations and should not be dismissed in a superficial way. Yet, one is left wondering whether a Christian public theology needs to safeguard the unfair privileges of the Church inherited from the past instead of questioning them from a renewed ecclesiological awareness which frees the Church from her ecclesiocentricity. Against this background, one may ask whether the strong call by EiE not to loose sight of the European “Christian memory and heritage” (e.g. 7, 19, 24, 108) is also an attempt to secure the privileged position of state-churches in an increasingly secularised Continent. What is the moral strength of an appeal to Europe “to rediscover its true identity” (109) in terms of Christian heritage if the Church is not willing to rediscover hers? The second main Catholic contribution to Europe envisaged by EiE recalls the main tenets of SDC and echoes many themes and concerns which have been set forth in various magisterial documents. In this respect, the breadth of the Catholic vision is impressive. As far as the pillars of SDC are concerned, EiE lists them as follows: “the value of the human person and his inalienable dignity, the sacredness of human life and the centrality of the family, the importance of education and freedom of thought, speech and religion, the legal protection of individuals and groups, the promotion of solidarity and the common good, and the recognition of the dignity of labour” (19). These are considered as the universal values which form the objective moral basis for legislation, governance and policy. Both individually and collectively, they can be traced back in the historical development of SDC through the Twentieth century and belong to the heart of the message of the Church in the socio-political realm. More specifically related to the present-day European situation, EiE pinpoints the areas of greatest concern in considering the problems of continental dimension. This concern is also backed by the commitment to establish a “healthy cooperation” between European institutions and the Church in order to face them. According to EiE, Europe is called to respond to issues like the “preferential love for the poor” (86), “the challenge of unemployment” (87), “the pastoral care of the sick” (88), “the proper use of the goods of the earth” (89), “the truth about marriage and the family” (90-94) “the culture of acceptance” (100-103), “international cooperation in terms of a new culture of solidarity” (111), the promotion of “a globalisation ‘in’ solidarity” and “globalisation ‘of’ solidarity” (112). In highlighting them, EiE calls European institutions to grasp their moral universality and to implement them in the policy-making process, while pledging the full support and cooperation of the Catholic Church. As for the more worrying and urgent problems that Europe faces in its dealing with life issues, EiE rehearses typical pro-life concerns about “falling birthrate”, “abortion”, “euthanasia” (95). To these increasingly pressing challenges, the Church wants to respond with “a great campaign in support of life” inspired by “a new culture of life” (96). This brief sketch of SDC applied to the European context well captures the interesting blend of moral conservatism and social progressivism of Rome’s public theology. The Roman Church is strongly conservative as far as moral issues are concerned and, at the same time, she appears to be on the progressive side when it comes to international politics and global issues. The Catholic blend helps the Church not to be reduced to a right-wing or left-wing agency in socio-political debates, while enhancing her universal profile and authoritative standing in public life. There is much to commend in looking at contemporary SDC from an Evangelical perspective. Comparing it with the content of Evangelical documents like the 1974 Lausanne Covenant and the 1992 Manila Manifesto, for instance, many overlapping points are apparent and many areas of cooperation are possible. Some would consider the fact that Evangelicals and Catholics share the same basic values and convictions as an indication of a profound convergence that exists as far as social ethics is concerned. Outside of Europe, the Evangelicals and Catholics Together project has been launched on the basis of this perceived unity within the context of a highly secularised society. While there may be truth in these considerations, no hurried theological conclusion should be drawn from the partial Evangelical-Catholic consensus. In this respect, it may be helpful to recall the document “An Evangelical Approach Towards Understanding Roman Catholicism” issued by the Italian Evangelical Alliance in 1999. The document sets a theological framework according to which Roman Catholicism is viewed in systemic terms, rather than just in some of its various expressions. Here are some pertinent points which can be useful for our theme: “The doctrinal agreement between Catholics and Evangelicals, which is expressed in a common adherence to the Creeds and Councils of the first five centuries, is not an adequate basis on which to say that there is an agreement concerning the essentials of the Gospel. Moreover, developments within the Catholic Church during the following centuries give rise to the suspicion that this adherence may be more formal than substantial. This type of observation might also be true of the agreements between Evangelicals and Catholics when it comes to ethical and social issues. There is a similarity of perspective which has its roots in Common Grace and the influence which Christianity has generally exercised in the course of history. Since theology and ethics cannot be separated, however, it is not possible to say that there is a common ethical understanding – the underlying theologies are essentially different. As there is no basic agreement concerning the foundations of the Gospel, even when it comes to ethical questions where there may be similarities, these affinities are more formal than substantial”. Again, the document tackles the issue of co-belligerence which is an essential part in dealing with an Evangelical reading of SDC: “In the fulfilment of the cultural mandate there may be moments of interaction in which there is a co-operation and united action between Evangelicals and Catholics, as in fact may be possible between Evangelicals and people with other religious orientations and ideologies. Where common values are at stake in ethical, social, cultural and political issues, forms of co-belligerence are to be encouraged. These necessary and inevitable forms of co-operation, however, must not be perceived as ecumenical initiatives, nor must they be construed as implying the recovery of a doctrinal consensus”. The full strength of Roman Catholicism – the comprehensiveness of its system, the breadth of its vision, the scope of its project, the complexity of its structure, the powerful appeal of its values – is evident throughout SDC. The Roman Catholic Church is a religious agency with a strong public theology for Europe. What about Evangelical Christians? 1870 was the year when Rome was conquered by the Italian army. The transition between the established forms of Catholic involvement and the new challenges before the modern world is well explored by Bill Mc Sweeney, Roman Catholicism. The Search for Relevance (Oxford: Basil Blackwell 1980). Mario Toso, Verso quale società? La dottrina sociale della Chiesa per una nuova progettualità, Roma, Libreria Ateneo Salesiano 2000, p. 68. Other introductory books on SDC include Mauro Cozzoli, Chiesa, vangelo e società. Natura e metodo della dottrina sociale della Chiesa (Cinisello Balsamo: Ed. San Paolo, 1996) and José Miguel Ibáñez Langlois, Doctrina social de la Iglesia (Barañáin: Ediciones Universidad de Navarra, 1987). 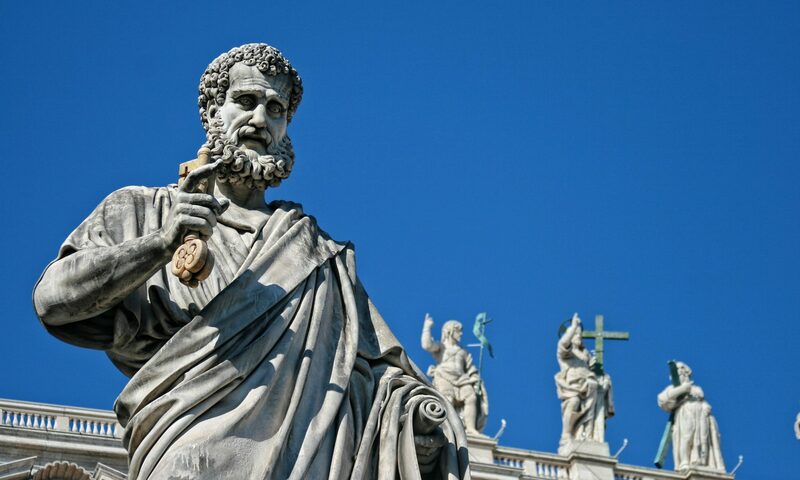 The social and political thought of Roman Catholicism has not been thoroughly studied by Evangelical scholars as part of the Roman Catholic system. One defective exception is John W. Robbins, Ecclesiastical Megalomania. The Economic and Political Thought of Roman Catholicism, Unicoi, The Trinity Foundation 1999. A useful survey of the main missiological options backing different types of public theology in Europe is Friedemann Walldorf, “Towards a Missionary Theology for Europe”, European Journal of Theology XIII (2004/1) pp. 29-40. The text is easily accessible through the Vatican official website (www.vatican.va). The 2002 contribution to the European Convention by COMECE (Commission of the Catholic European Episcopacies) precisely contains this request to indicate the value attributed to it by Catholic hierarchy. The expression is used by Friedemann Walldorf in his article; cfr. n. 3. This recommendation is also strongly made in the document by COMECE (cfr. n. 5). The Catholic Church insistently, yet vainly, asked to insert the name of God or the reference to Judeo-Christian heritage in the preamble of the constitutional treaty. The impression is that many Evangelicals would have supported this Catholic initiative. Again, this poses a theological question: is it appropriate for a constitution to name or to appeal to God? For a critical review of the project, cfr. my article “Christian Unity vis-à-vis Roman Catholicism: a Critique of the Evangelicals and Catholics Together Dialogue”, Evangelical Review of Theology 27:4 (2003) pp. 337-352. The text can be found in Ideaitalia III:5 (1999) pp. 7-8. Translations are available in French: “Le catholicisme romain: une approche évangélique”, Vivre 8-9 (2000) pp. 10-14 and Fac-Réflexion 51-52 (2000/2-3) pp. 44-49. In German: “Ein Evangelikaler Ansatz zum Verständnis des Römischen Katholizismus”, Bibel Info 59/3 (2001) pp. 10-13. In English: “An Evangelical Approach Towards Understanding Roman Catholicism”, Evangelicals Now, Dec 2000, pp. 12-13 and European Journal of Theology X (2001/1) pp. 32-35.